This column also appears on City Connect (http://www.city-connect.org/). The three inaugural offerings from Cambridge's "Big Three" independent wine merchants for this first Wine of the Month column have set the bar pretty high. The brief for them was simply to select their best wine for the current month, June, within a sensible price range - from an everyday £6, to a special-occasion-but-still-affordable £12. And they have come up with three wines of very different styles. 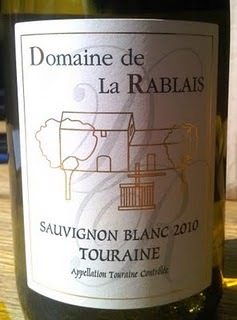 The first is a Touraine from Cambridge Wine Merchants - this cool-climate stretch of the Loire in northern France produces steely, aromatic, flinty wines from Sauvignon Blanc which can be as good as, and much better value than, next-door Sancerre. This 2010 is still quite young and benefited greatly from an hour or so's aeration in the decanter. Pale in the glass, but bright with a hint of gold, it is initially intense and steely, but opens up into a haughty, classic beauty with greengage, cut grass and nettles on the nose and a hint of flint-smokiness. On the palate, there are more herbaceous aromas, white peach and elderflower, zesty hints and a touch of verbena with focused yet rounded, mouthfilling acidity balanced out by good minerality on the finish. With its restrained elegance and sophisticated, classy finesse, it is understated coolness personified. The ideal food match would be the classic Loire goat's cheese, but it will also work either as an aperitif or with shellfish. Next up was another white; from Noel Young, this was a Chardonnay Albarino blend from Costers del Segre in Spain. Sealed under screwcap, this is a much more contemporary, crowd-pleasing style. 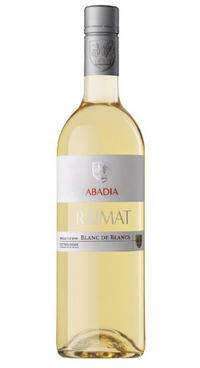 Straight out of the bottle, it is fruit-driven with aromas of stone fruit, peach and floral citrus blossom. 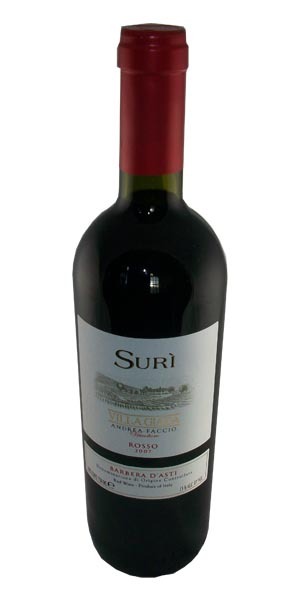 On the palate it feels full and fleshy with some mid-palate complex sweetness of tropical fruit. Supple, mediumweight and rounded, it has a long, persistent finish. What elevates this above the level of a mere quaffer, however, is a hint of thick-skinned intensity and phenolic ripeness from late harvested grapes, picked at night to retain freshness. 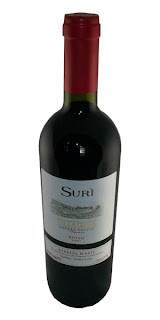 This is easily the most versatile of the three wines here - an easy quaffer with a hint of seriousness, its ripeness, body and acidity mean it would match with a wide range of foods such as white meat, mushrooms or pretty much anything in a creamy or buttery sauce, or a plate of farmhouse cheeses. Ready for drinking now, it is not a wine that needs to be aged. The final wine, an Italian Barbera d'Asti from Bacchanalia has all the exuberance of an over-excited pup. Red wines from Piedmont in Italy are traditionally chewy, beetle-browed and rather challenging, but there is none of that here. It has a rich, diverse, multi-faceted nose with aromas of bramble fruit, plums, cherries and vanilla as well as liquorice and eucalyptus; it feels exotic, hedonistic and welcoming. Initially, it seems almost too fruit-driven and frivolous on the nose, but underneath, it's still a grown-up wine and delivers rounded, ripe fruit acidity and a superbly soft and smooth texture with just a hint of grip on the finish. Moreover, once the overt, slightly baked fruit aromas start to die down (admittedly after being put back in the bottle overnight), more complex and sophisticated secondary aromas of sour cherries, forest floor, toasty oak and prunes start to become more prominent and the acidity and mouthfeel improve further, so this clearly has significant aging potential should you wish to wait. Food matches should be kept local such as pasta with Bolognese or pomodoro with lots of fresh basil. For meat, slow roast lamb with garlic and rosemary, wild boar or meatloaf wrapped in prosciutto would also work well. You could, with the right number of guests, serve all three wines with different courses of a meal - the Touraine with a starter, the Barbera with the main and the Spanish white with cheeses - and be impressed by them all. However, my overall wine of the month for June is the Barbera for its sheer exuberance and end-of-term fun factor.